It Will be Stunning in Your Favorite Colors! 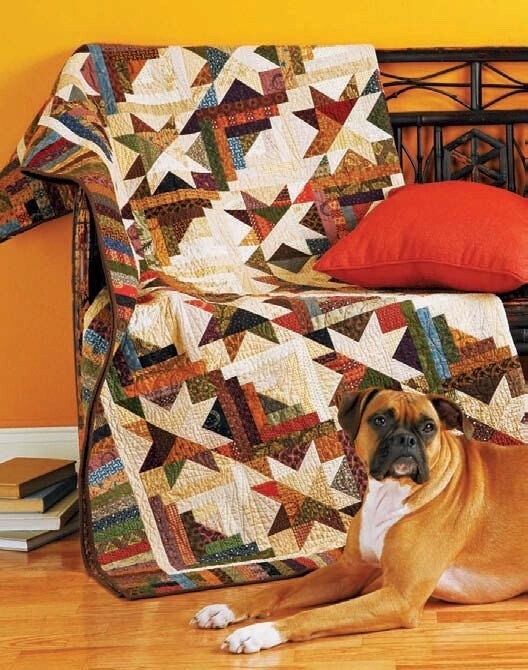 Stars are a delightful addition to this striking Log Cabin quilt. The play of light and dark in a Barn Raising layout creates a compelling overall design. A piano key border finishes the quilt off beautifully. Autumn colors are wonderful in the quilt. However, it will be sensational in colors for any season or to match your decor. Start with fat quarters in both light and dark hues. While a combination of colors and fabric styles within each value add interest to the quilt, be sure to keep similar values for both the lights and darks. The finished quilt, designed by Carrie Nelson, is 74 1/2″ x 74 1/2″. 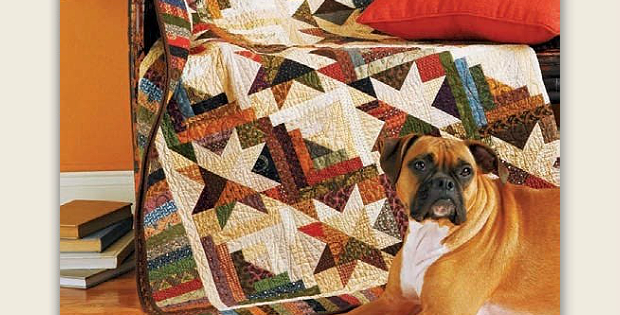 You’ll find the “Raise the Roof” quilt pattern in Miss Rosie’s Spice of Life Quilts. Click here to purchase Miss Rosie’s Spice of Life Quilts.